Based in Palmyra, New York, Garlock Sealing Technologies is a wholly-owned subsidiary of EnPro Industries, Inc. The company was founded by Olin J. Garlock in 1887 when he developed a seal for rods in locomotive steam engines. Garlock’s innovative product provided significant utility compared to those in use at the time and eventually became an industry standard. Today, Garlock leads the rubber compounding market and is the No. 1 U.S. manufacturer of industrial gaskets products. The company has more than 1,900 employees who work at 16 operation centers around the world with distribution to nearly 75 counties. Having diversified from the railway industry, Garlock products are now used in a wide array of industries that range from food technology to aerospace. Since 2009, EnPro acquired multiple businesses designed to expand its market reach and deepen its presence in markets the company already served. Throughout much of the 1900s, the company utilized asbestos to manufacture many of its products, including its gaskets, valve packing and packaging materials. Physical characteristics and properties of asbestos made it an attractive material to include in products. However, because of the health hazards associated with asbestos exposure, the company’s use of this substance came at a substantial price. A 2016 Epidemiology and Health study from Sweden reported rates of asbestos-related cancer in different occupations. According to the research, former machine fitters are 75 percent more likely to develop mesothelioma than the general population. Garlock faced hundreds of thousands of asbestos lawsuits, exposing the company to significant financial and legal hardships. According to industry publications, the company has spent more than $100 million each year in settlements since asbestos lawsuits began emerging. Furthermore, Garlock has paid nearly $1.37 billion in indemnity payments. Insurance coverage has issued over $1 billion to date. The company still has more than 100,000 cases pending. The cases share similar stories, but each with different people. For example, in 2008, an 84-year-old former boiler mechanic who developed mesothelioma from Garlock products filed a lawsuit against Garlock Sealing Technologies. The $12 million verdict resulted in a settlement between the victim and company. In 2010, a former Texas pipe fitter who developed mesothelioma from Garlock and Union Carbide products filed a lawsuit against the companies, eventually receiving $2.7 million in jury awards from the two organizations. The cases of the boiler mechanic and pipe fitter are just two of countless lawsuits that the company faced. Garlock buckled under the weight of more than 900,000 asbestos-related claims and filed for Chapter 11 bankruptcy protection in 2010. Prior to filing for bankruptcy protection, Garlock had been tenacious in defending itself against asbestos-related lawsuits. While several multi-million dollar verdicts were handed down against it, the company successfully defended many, many others. Exposed to Asbestos at Garlock? Garlock even protected itself from being blamed for asbestos exposure that had links to one of its competitors. The company went so far as to object to W.R. Grace & Co.’s reorganization plan because, as a co-defendant in many asbestos lawsuits, Garlock would be left holding the bag for Grace’s share of responsibility. Ultimately, with its decision to enter bankruptcy protection, Garlock has admitted that asbestos litigation was becoming too expensive and that funding a trust for asbestos claims is the most cost-effective way to address the issues. As a result of its bankruptcy filing, all pending asbestos litigation will be halted. Once Garlock emerges from bankruptcy, all such litigation will likely be affected by the creation of the contemplated asbestos claim trust. The broad reach of Garlock’s asbestos-containing product lines have resulted in wide-ranging effects, endangering employees of many occupations. Engineers, insulators, factory workers, plumbers, electricians, miners and steel workers are among the countless occupations that potentially experienced asbestos exposure as a result of Garlock’s products. Apart from those who worked as Garlock employees in the manufacturing of its asbestos-containing products, workers in a number of other industries that utilized these products were also likely exposed to asbestos. Examples of these industries include: chemical and petrochemical, electronics manufacturing and assembly, plumbing, mining, power/electrical generation, gas or oil refining, aerospace, pharmaceutical, food manufacturing and technology, paper and pulp mills, in addition to steel refining. The asbestos-containing products that Garlock manufactured and sold include seals, gaskets, sheet gaskets, asbestos cloth, packing material, pump packing, ring packing, rope packing, sheet packing and valve packing. 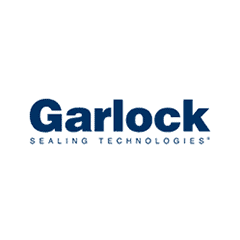 Some news references have cited Garlock Sealing Technologies as “one of the most sued companies in American history,” with the overwhelming majority of lawsuits involving asbestos.